One day Seminar on “Intellectual Property Rights” organized by Shri. Sanganabasava Mahaswamiji college of Pharmacy & Research centre, Vijayapur on 20th March 2017. Three days Workshop on Introduction to statistical methods and SPSS hands on training organized by Shri B M Patil Medical college, Hospital & Research Centre, Vijayapur, on 7th to 9th November 2016. Two-day Workshop on “Case Writing and Case Teaching Pedagogy”organized by K.L.E. Society’s Institute of Management Studies and Research Hubli on 28 & 29 October 2009. Management Development Program on “Role of HR In educational Institutions ” organized by M.B.A Program A.S.P College of Commerce Bijapur. Paper Titled “SUSTAINABILITY OF MANAGEMENT EDUCATION THROUGH TALENT MANAGEMENT” at National Conference on Responsive Management Education, RCU Belagavi on 8th & 9th August 2014. Paper Titled -“Violations of human rights violation through domestic violence – Myth or reality” at national seminar on Victims of human rights violation. Paper Titled -“Impact of MGNREGA on women participation and Empowerment” UGC Sponsored One Day National Level Seminar on 19th march 2013, on Micro Finance and Women Empowerment in India organized by T.S.P. Mandali’s C.M. Managuli Arts & Science College, Department of Economics, Sindagi. Paper Titled –“Talent nurturing in banking sector innovative HR practices” National Conference on 28th September 2012 on Innovations & Research in Commerce & Management at Sri Siddhartha Institute of Business Management, Tumkur. Paper Titled-“Dimensions to leadership qualities for competitive edge” conducted by Vivekanand college, Kolaphur. On 22nd and 23rd January 2010. Paper Titled-“Ethical code of conduct governing corporate leaders- For quality management” conducted by Vivekanand college, Kolaphur on 22nd and 23rd January 2010. Paper Titled “Effective Business Presentation –Talk your way to success” by UGC Sponsored a two day National Conference on “Modern Presentation Skills”, On 28th and 29th August 2009. Paper Titled- “A Study of Building knowledge managers for Competitive Advantage through Talent Management in IT Sector in Karnataka ”. ,International Seminar on “Building Research and Innovative Capabilities for Global Competitiveness”. on 15 April 2017. Paper Titled- “IT ENABLED TALENT MANAGEMENT PRACTICES –A CASE STUDY OF CO-OPERATIVE BANK, VIJAYAPUR”. ISBN:978-93-84935-71-9, Track 3 ,International Conference on Green Banking for Green Industry and Green Economy at RCU, Belagavi. on 12th & 13th February 2016. Paper Titled-“Talent Management: A Future of IT Sector”, in International Multidisciplinary E-Journal with ISSN 2277 4262 vol 4,ISSUE VIII. at Ballari Institute of Technology and Management, Ballari on 29th August 2015. Paper titled– “Strategies for sustainable Competitive advantage in Global Era through: Talent Management”, on 20th and 21st June 2014 at International two days International conference on “Strategies for Social and Sustainable Competitive Advantage in Globalized era” at Karnataka state women university, Bijapur. Paper Titled-“A study on women Empowerment through Micro Finance in Bijapur District”Conducted by Kohinoor business school, Khandala, 6th annual Resaerch Conference 2012. Paper Titled -“Ready for Action contribution of armed forces during disaster situation presented at: Disaster Management: Preparedness,Response and Rehabilitation”(ICDM-2012) at National Geophysical Research Institute,Hyderabad. Paper Titled -“Usefulness of e banking – A lens of customer special reference to UBI”Annual Research Conference, 2012 Theme: “Service Management – Global Environment”. Organized by Kohinoor Business School Khandala. Published in Spectrum E-Journal, Volume 1. Paper Titled -“Role of microfinance in economic empowerment of women-A Study of Bijapur District” International Journal of Applied Financial Management Perspectives- PEZZOTTAITE JOURNALS: Transforming education for social change & business excellence-A series of double blind peer reviewed refereed journals, Print ISSN: 2279-0896,Online ISSN: 2279-090X, Volume:1 Number:2 (October to December 2012). “Impact of MGNREGA on Women Participation and empowerment” at C.M.Manguli Arts & Science College, Sindagi on 19th March 2013. “Talent Nurturing in Banking Sector Innovative HR Practices” at Sri Siddhartha Institute of Business Management, Tumkur.on 28th September 2012. · “Dimensions to leadership qualities for competitive edge” conducted by Vivekanand college, Kolaphur on 2010. IT ENABLED TALENT MANAGEMENT PRACTICES –A CASE STUDY OF CO-OPERATIVE BANK, VIJAYAPUR”. ISBN:978-93-84935-71-9, Track 3 ,International Conference on Green Banking for Green Industry and Green Economy at RCU, Belagavi. on 12th & 13th February 2016. “Talent Management as a Strategy for Global Competition” ISBN 978-163102664-5 pg no:131-137 one day International Seminar at C.B.Bhandari Jain College, Bangalore on 30th September 2015. “Talent Management: A Future of IT Sector”, in International Multidisciplinary E-Journal with ISSN 2277 4262 vol 4,ISSUE VIII. at Ballari Institute of Technology and Management, Ballari on 29th August 2015. 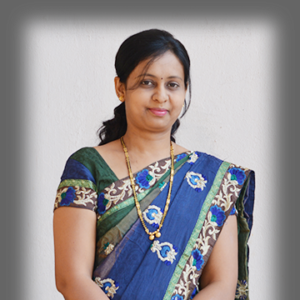 “Strategies for sustainable Competitive advantage in Global Era through: Talent Management”, on 20th and 21st June 2014 at International two days International conference on “Strategies for Social and Sustainable Competitive Advantage in Globalized era” at Karnataka state women university, Bijapur. Usefulness of e banking – A lens of customer special reference toUBI UB International Journal of Applied Services Marketing Perspectives-PEZZOTTAITE JOURNALS: Transforming education for social change & business excellence-A series of double blind peer reviewed refereed journals, Print ISSN: 2279-0977, Online ISSN: 2279-0985, Volume:1 Number:2 (October to December 2012). Role of microfinance in economic empowerment of women International Journal of Applied Financial Management Perspectives- PEZZOTTAITE JOURNALS: Transforming education for social change & business excellence-A series of double blind peer reviewed refereed journals, Print ISSN: 2279-0896, Online ISSN: 2279-090X, Volume:1 Number:2 (October to December 2012). CEDOK -3 Days Entrepreneurship Awareness Camp held for Final Year students of Chetana BBA & BCA College, Bijapur on 18-09-2015. CEDOK -3 Days Entrepreneurship Awareness Camp held for Final Year students of BLDEA’s MBA College, Bijapur on 08-02-2016. CEDOK -3 Days Entrepreneurship Awareness Camp held for Final Year students of smt.Kumudaben Darbar BBA,BCA & B.com College, Vijayapur on 11-02-2016. Entrepreneurship Awareness Camp (EAC) 3 days programme at BLDEA’s , Vachana pitamaha Dr. P.G.Halakatti college of Engineering and Technology, Vijayapur on 20/1/2017. Entrepreneurship Awareness Camp (EAC) 3 days programme at BLDEA’s , Vachana pitamaha Dr. P.G.Halakatti college of Engineering and Technology, Vijayapur on 17/02/2017. Entrepreneurship Awareness Camp (EAC) 3 days programme at BLDEA’s , Vachana pitamaha Dr. P.G.Halakatti college of Engineering and Technology, Vijayapur on 14/03/2017.